This year my basil did fantastic, in fact the best I’ve ever had. I even grew it all in pots on my back deck. So this past week I decided it was time to cut as much as I could off and start preserving them for the winter months. I decided to put together a few videos to help you find new ways to save that precious Italian herb! 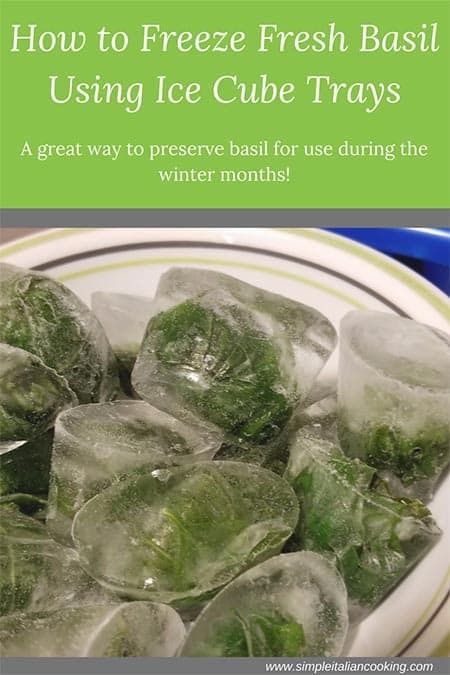 But for this post I’m including the video for a technique I use every year and it totally works… saving my basil by freezing them in ice cube trays! Ice cube trays – I use cheap ones I got at the dollar store – isn’t the blue cool? Start off by simply taking off the basil leaves. Do not chop them, keep them whole. Then take a good number of them, maybe 5 or 6 leaves and make sure the biggest size leaf is on the outside of the stack. Then just roll them up nice and tight. Put them in the empty ice cube tray space and shove them down to make them stay down. You might have to fold the roll in half in order to make them fit. Once you do that for the whole tray or however many you have, gently fill up the tray with water. Do not use tap water since this is for consumption. Tap water has chemicals that yes, kill bad stuff, but the chemicals themselves aren’t great for you either. 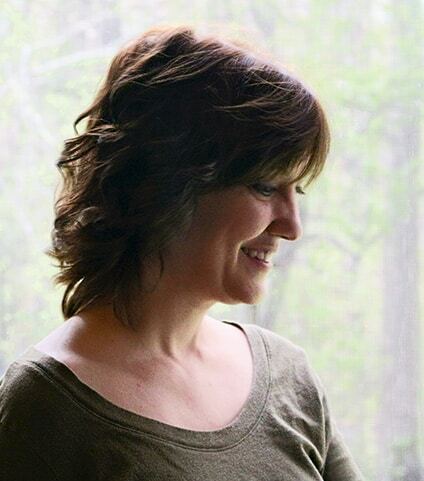 So if you can use distilled or something else, do try. Next place them in the freezer to freeze and when they are frozen dump them into a Ziploc freezer bag. I use quart size bags in order to make it easy to squeeze in tight spots when the freezer is packed to the hilt. You can do whatever you want. Just make sure they are truly frozen so they won’t stick together in one big lump! Well don’t expect to use it like fresh basil where you can snack on it! Basil cryogenics haven’t exactly been mastered yet. Anything that uses basil cooked or in liquid. Remember, you won’t get the same texture as truly fresh off the plant, but the flavor will still be there. You can make a fresh tomato sauce and drop in some cubes and let it cook and simmer. I am always amazed when I make it during the winter months how good it is, just like in the summer! Frankly, I can tell you that I was using my frozen basil in my pasta sauce up until late spring of this year. So assuming I froze them in August of last year, that’s about 9 to 10 months. If you have any tips of your own feel free to share!